Guess what came in the Shoppe the other day? I'll give you a hint! Did you want to peak in the bag? Oh... the colours are yummy! I received the Shoppe Kit for the newest block of the Month - Mill House Girls by Nancy Rink. I so enjoy getting these kits. The full fabric line along with the patterns for the block of the month should be arriving in August 2012. 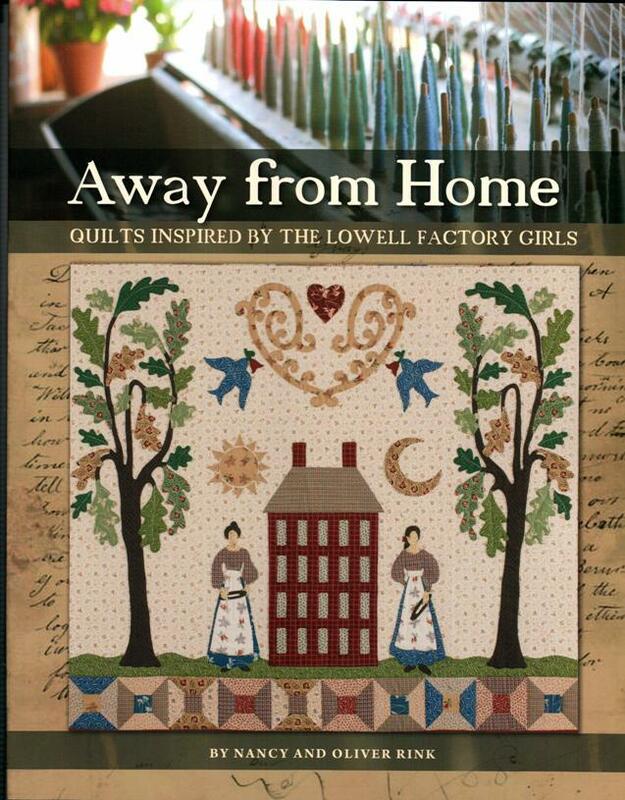 For those not aware, Nancy and Oliver Rink did publish a recent book to accompany the fabric line called Away from Home, Quilts Inspired by the Lowell Factory Girls. The projects are stunning. OMG those fabrics are gorgeous...........what the BOM look like??? Que c`'est très joli.J'aime beaucoup les couleur. Je dois finir tout avant de commencer autre chose. Je suis assuré que ça vais faire fureur. !!! 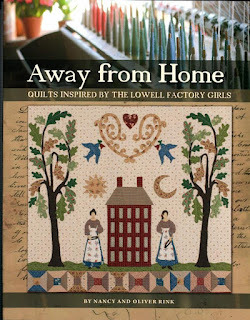 Those are gorgeous fabrics and wonderful project, love the idea of using them for the new book too. Will have to see if our store gets it. It looks like a lot of applique, just for you. Bought myself a new toy....!